A cloud full of lightning bolts appears to explode in the night sky. When it is dark out, use a remote release and bulb mode to open the shutter until lightning flashes. 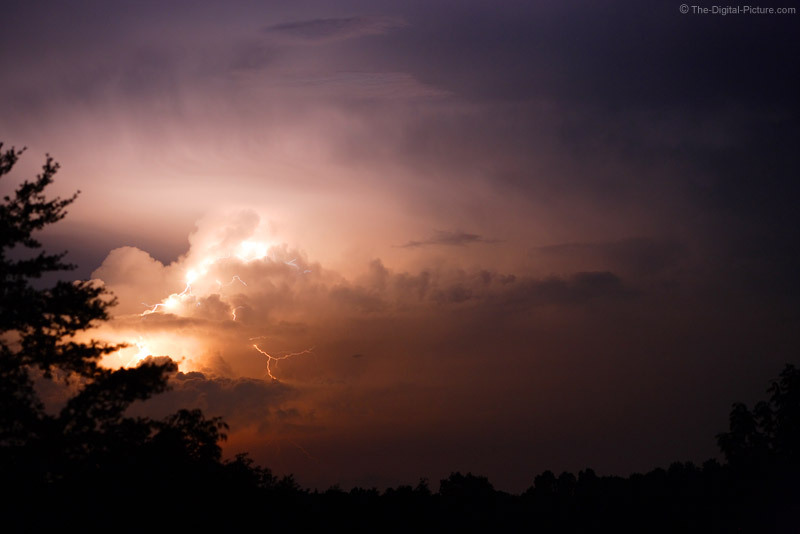 Use manual mode and set your aperture and ISO based on the brightness of the sky and distance to the storm. Prefocus the lens (on a distant street/night light?) and turn off autofocus. Be warned: lightning is extremely dangerous!